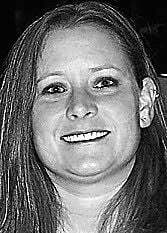 Michelle E. Kellner1972 -- 2010Michelle Elizabeth (Nee: Houtz) Kellner, passed away peacefully on July 11, 2010, at the age of 37, after a three year courageous battle with cancer, at Wheaton Franciscan Healthcare Hospice-All Saints in Racine, Wisconsin. Michelle was born on Sept. 21, 1972, in Kenosha, Wisconsin to David C. and Elizabeth (Betty) A. (Meyer) Houtz. She graduated from Mary D. Bradford High School in Kenosha in 1990. She graduated from the University of Wisconsin-Parkside in 1994. Since 1997, Michelle has been employed as Senior Credit Analyst by VW Credit Corporation in Libertyville, Ill. On Sept. 6, 2006, she and Fred Kellner, of Racine, were married at Wustum Gardens, Racine. Michelle is survived by her husband; Fred, of Racine; her parents, Dave and Betty Houtz, of Somers, Wis.; her sister, Jennifer Houtz (RJ Fergus), of Racine; her paternal grandmother, Beatrice Houtz ,of Somers; her in-laws, Charles and Cornelia Kellner, of Racine; sister-in-law, Tera (Marty) Wenger; brother-in-law, Todd Kellner; brother-in-law, Eric (Jennifer) Kellner; seven nieces; one nephew, and many loving friends. Michelle was preceded in death by her paternal grandfather, Charles Houtz and her maternal grandparents, Lawrence and Arlene (Luke) Meyer. Michelle loved the Green Bay Packers and the Milwaukee Brewers. She believed in both teams no matter what their record was. That is how she lived her life. Michelle also loved to take long walks around Lake Andrea. She will be remembered and missed by all those who have given her comfort during her long journey. Many thanks to everyone for your continued comfort and concern. She was touched and humbled by the cards, notes, and flowers she received. Her funeral Mass will be celebrated in St. Paul the Apostle Catholic Church, 6400 Spring Street, Racine, at 7 p.m. on Friday, July 16, with Rev. Martin Osuji officiating. Visitation will be on Friday from 4 p.m. until the time of the Mass. Memorials can be directed to the family until the Michelle E. Kellner Foundation for Breast Cancer is established, co-sponsored by her employer and employees of VW Credit. Her family would like to extend a very special thank you to her employer and co-workers at VW Credit Corporation for their continued concern for Michelle while she was going through her battle with cancer. We also extend a very special thank you to the entire team at Wheaton Franciscan Healthcare - All Saints Hospital and Hospice who cared for Michelle. Thank you for the comfort you also gave to us, her family. Thank you Karen, RN and Father Martin for your extra attention, care and support. Your compassion and love for Michelle was overwhelming.